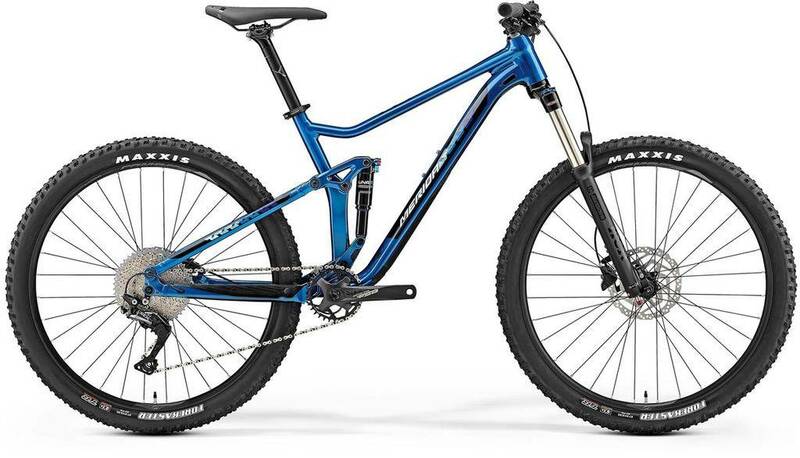 The design considered both riders and mechanics, delivering a playful modern trail bike with a slack head angle, low stand over height and short chain stays which is as easy to maintain. All key bolts can be adjusted from one side of the bike with a Torx 30 key without the need for removing the chain set to access the main pivot bolt. 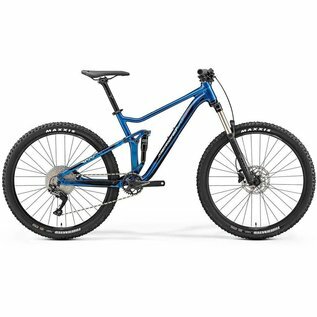 It’s our most versatile bike, available in 29” wheel in carbon and either 27.5” or 29” in aluminium so it can be used as a fun trail bike or a superfast marathon bike. Built around a frame made of 6066 series triple butted, hydroformed aluminium tubing with smooth welding. Tapered head tube for precise steering, Boost axle standard for stronger wheels, Smart Entry cable clamping for rattle free running. 3020g – M +/- 3% Lite – 6066 series triple butted, hydroformed aluminium tubing with smooth welding. Tapered head tube, Boost axle standard for stronger wheels, Smart Entry cable clamping for rattle free run FORK Suntour XCR34; Air sprung; 130mm travel; Tapered steerer; lockout HUBS Shimano MT400-B; Boost standard 15mm bolt through front; Shimano MT400-B; Boost standard 12mm bolt through rear; 32 spokes; centrelock Suntour XCR34; Air sprung; 130mm travel; Tapered steerer; lockout RIMS Merida Comp CC; 20mm inner width SPOKES Black stainless TYRES Maxxis Forekaster; 2.35"; kevlar bead; TR EXO Dual SHIFTERS Shimano SLX, 11 speed DERAILLEURS Shimano SLX Shadow+, 11 speed CHAINSET FSA Gamma Pro 1x MegaExo; 32 teeth CASSETTE Sunrace CSMX8; 11-46 teeth; 11 speed BOTTOM BRACKET FSA BB-CFM92/CZ CHAIN KMC X11-1 PEDAL None BRAKES Shimano MT-200 hydraulic with Shimano RT10 180mm rotors GRIP Merida Comp EC HANDLEBAR Merida Expert CC, 740mm wide, 10mm rise STEM Merida Comp CC; 31.8mm Oversize clamp; 6 degrees HEAD SET FSA NO.47/50 SADDLE Merida Comp CC SEAT CLAMP Merida Comp Quick Release SEAT POST Merida Comp CC; 30.9mm diameter; in line HARDWARE Stainless GENDER Men's TYPE Mountain Bike STYLE Full Suspension FRAME MATERIAL Aluminium RANGE Full Suspension WHEEL SIZE 27.5"